Whether you are a hobbyist wondering which is the best sewing machine to buy for beginners or a professional seamstress gearing up to furnish your shop with a fleet of the best sewing machines on the market to boost your production, learning more about your options will assist your final choice. Perfect for beginners or sewing enthusiasts working in the comfort of their home, domestic sewing machines are portable and can deal with various fabrics and materials. However, these machines are not made for heavy duty use and may overheat with long hours of work. Industrial machines, on the other hand, are specifically built with a powerful motor to endure the long arduous sewing tasks in a garments or shoe factory setting. They are bulkier and heavier compared to domestic sewing machines. Industrial sewing machines have four types based on the design of the needle and arm post. Manual sewing machines are now considered vintage finds. These classic models work by turning the hand wheel and pedalling at the same time while you guide your fabric slowly through the needle. Electric sewing machines have a single motor and a dial for controlling the type and length of stitches. They also have an electronic foot pedal that can make the machine go faster when you apply a little pressure. Electric sewing machines can do an extensive range of stitches and allow you to work with the fabric using both of your hands. No more pedals and dials. Computerised sewing machines are operated with a touchpad that lets you program everything from proper tension or the desired length and width for various stitch styles. You can also save previous work sessions to repeat for future use. Computerised sewing machines also feature USB ports that you connect to your laptop when you design. 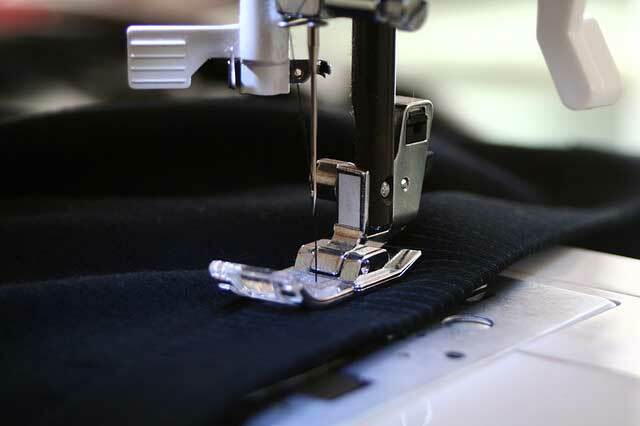 Overlockers are high-speed equipment used to complement a regular sewing machine to prevent fraying and to give a perfect, professional finish to edging, hemming or seaming. To shop for the best sewing machines in the UK, visit a Franklins store and industrial showroom near you.